Okay. Let’s go with Bill and Melinda’s best intentions. Why the opposition then? Rather they are CREATING higher gaps in achievement where 70% of all students in NY & GA students failed the Common Core state tests. To date, the US is number two in poverty as compared to all developing nations, with over 1.6 million homeless children, and many more children are living in poverty. Americans see an increasing gap between the wealthy and the poor, despite Bill Gates’ saying the “world is getting more awesome, the gap is closing“. So far the inequities and segregation for impoverished communities, English Language Learners, and people of color have been increased as reports demonstrated – read further down in our post below. Teach for America “exacerbates one of the greatest inequalities in education today“, says Katie Osgood. Our opposition isn’t grounded in the idea that Bill and Melinda will become rich off of Common Core. Our opposition isn’t grounded in the fact that they are partnering with Pearson to load Microsoft software on Microsoft Surface Tablets to compete with Apple. Our opposition is grounded in the the facts that what was once a public institution is now being transformed in great part by the hands of one couple’s “philanthropy” – turning them into a fundamentalist market-based institution. Our opposition is grounded in the facts that systemic market-based institutionalization of public schools is increasing inequity, increasing segregation, and increasing the opportunity gap between the 1% and the working class. Our opposition is grounded in the market-based reformers increase of Zero-Tolerance policies, which in turn feed the School-To-Prison Pipeline. Our opposition is grounded in the market-based reforms driving the de-funding of public schools through vouchers. Our opposition is grounded in the fact that new market-based teacher evaluations systems and VAM are based on junk science creating a false sense of blame on public school teachers for the effects of poverty. Our opposition is grounded in the fact that as these market-based reforms increase, our democratic voice is decreased. Where does Common Core fit into these reforms? 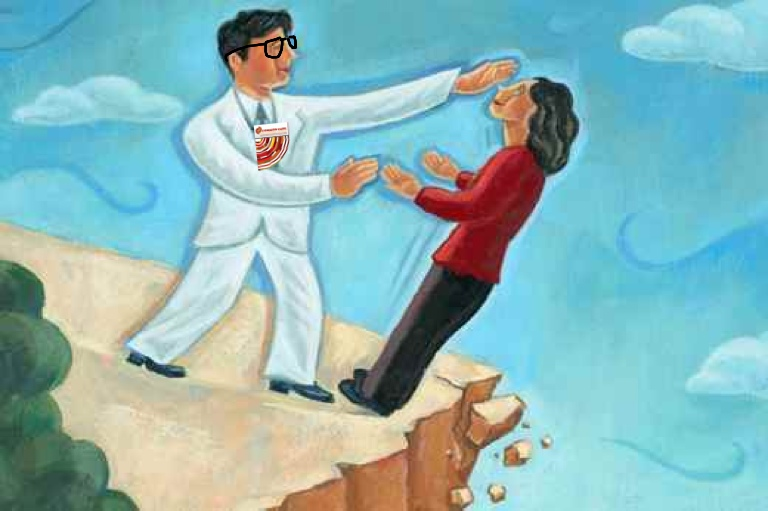 Lyndsey’s Washington Post investigative interview revealed some of the back story behind Common Core’s dependence on Bill and Melinda Gates’ billions to get the political lift this unprecedented nationalizing-market-based-behemoth needed to take flight. Like Howard Hughes’ “Spruce Goose“; Bill Gates has proven Common Core can fly, but Common Core was never officially certified by the public in a democratic process. Instead, states were asked to sign on the dotted line for untested, un-piloted, unproven, un-researched standards while the Common Core “Spruce Goose” was still being built. The democratic process was completely circumvented where in the past, educators would present changes at the local and state level to communities for approval and a VOTE. 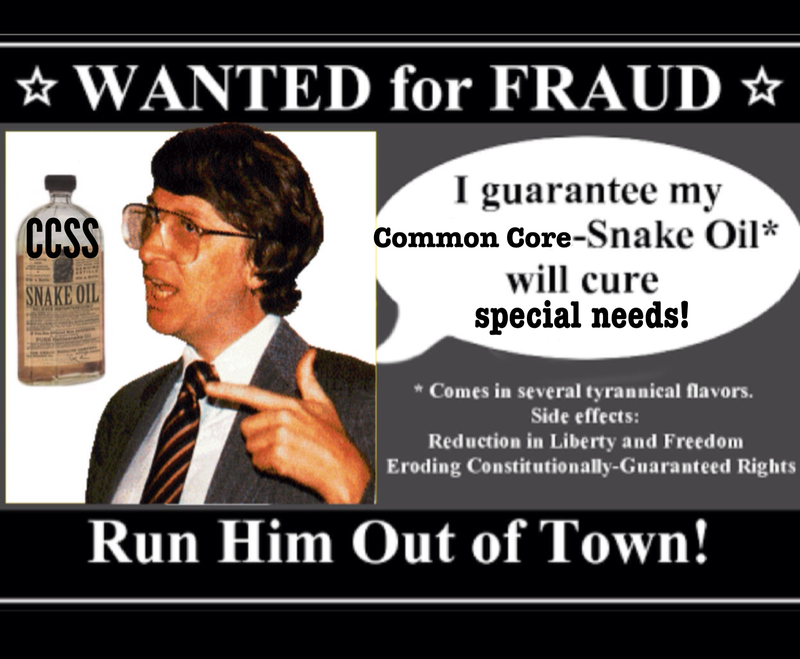 That was not the case with Common Core, as Anthony Cody pointed out about the “secret 60” who met behind closed doors. “A great error made by those combating corporate reform is in viewing the reforms as separate and distinct one from another. I have noticed as much in discussions about the Common Core State Standards (CCSS). However, the “standards” were not intended to “stand” without the entire spectrum of reforms. In fact, the power of a truly national privatization of public education depends upon CCSS. By placing former Gates employees in control of the US Department of Education under President Obama, the cornerstone of CCSS was guaranteed by an unholy alliance between private markets and government. Together, the Gates and their billionaire corporate reformers formed a bipartisan plan. Using the “shock doctrine” of economic desperation they first de-funded schools and communities — next they used bribes to coerce local, state, and national entities to agree to a grave systemic shift — a shift from public transparent democratic local control of public schools to a fundamentalist market-based federalized system of education. ‘ Education Secretary Arne Duncan said today that Hurricane Katrina was “the best thing that happened to the education system in New Orleans” because it gave the city a chance to rebuild and improve its failing public schools. Let’s take a look at New Orleans schools and communities after “the market” has experimented with them. 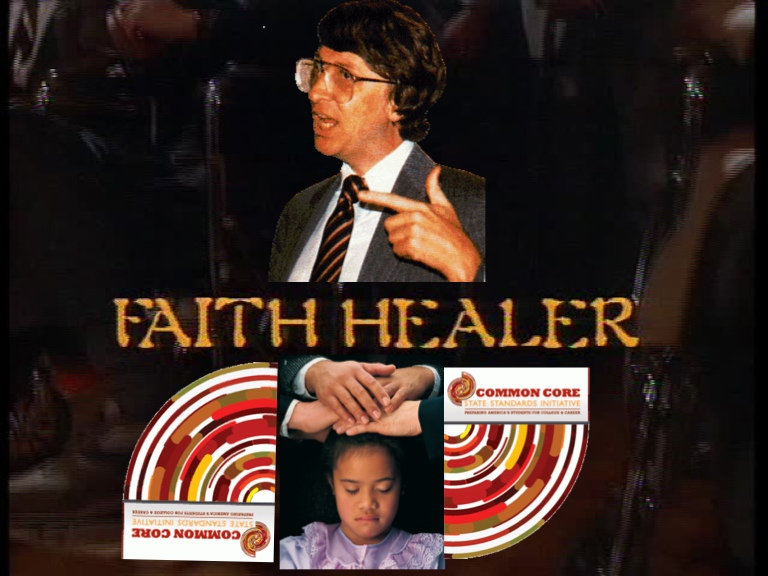 Today, in fact New Orleans public schools are closing for good due to the hands of the market-based fundamentalism. Is this what you want in your community? If it is up to Gates and the DOE; never mind what you think… Once again, democracy is left behind. So why are we outraged again? Our outrage is because the public is being silenced. Our outrage is because the public is being excluded. Our outrage is because the fundamentalist market-based systemic change is creating the exact opposite effect that Bill and Melinda claim is the reason for their investments. Are these top-down market-based experimental corporate reforms being force-fed to public schools really helping close the “gaping inequalities”? The plight of the New Orleans schools is but one example of the devastating impacts on the institutions of democracy called our nation’s public schools. Public schools in Chicago, New York, and DC where mayoral control was fostered by Bill Gates have been laid to waste. Public schools in Detroit, Newark, Camden, and Philly are in shambles where market based reforms have been fostered by Bill Gates and the corporate reformers. “I believe these tests will follow the same pattern as other Common Core-aligned tests, and yield results that show our English Learners and students living in poverty are in terrible shape. Why do I think that? First, because these tests have a great deal of language in them. Even the math problems require students to explain in words how they are solving problems. So we are likely to see schools with large numbers of ELs get terrible scores. So far every state that has given tests aligned with the Common Core has seen huge drops in proficiency levels. So let’s take Bill and Melinda Gates at their word. Our outrage in opposition is not about the profit Bill and Melinda Gates will acquire from their investments. If they intend to invest in education that is created in the likeness of that of their own childrens’ education – if they truly want to reduce the gaping inequalities – if they truly want solve a social problem – then why aren’t they listening to organizations like Journey for Justice Alliance? Why do they need to silence and exclude the voices of the public — by holding secret meetings with money changing hands — if these reforms are so great? Why did it take millions of Gates’ monies to convince local astroturf groups, State School Officers, Governors, politicians on both sides of the aisle, ALEC, and union leaders — Common Core was so great they should go ahead and fly this plane while they were still building it? Why did Bill Gates have to coach teachers to say the right words to convince legislators? Why do Bill and Melinda not insist on serving the same “super set” of Common Core sandwiches, segregation, school closures, and high stakes tests to their own children as staples? Will the real revolutionary movement for democracy prevail over the neoliberal forces of shock-doctrine’s market-based corporate reforms? Will Bill and Melinda Gates’ Common Core go the way of the Spruce Goose –– costing a fortune, but never to be flown again? 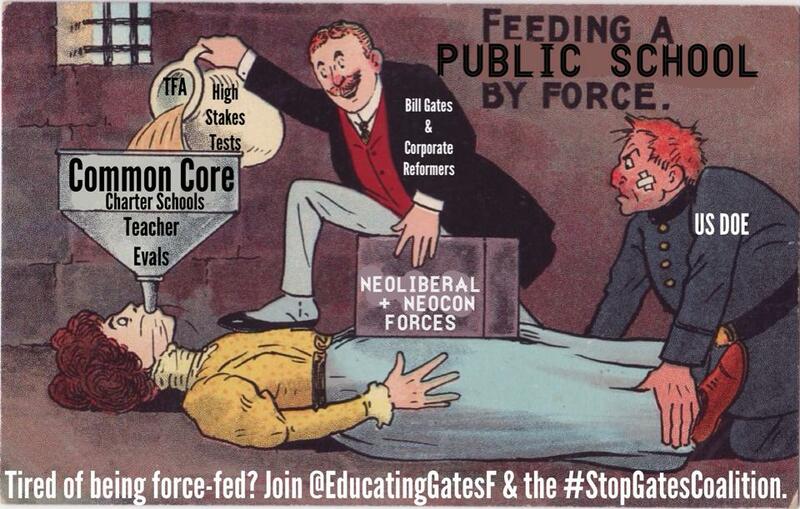 If you would like to see the “Spruce Goose” of fundamentalist market-based reform experiments grounded for good, please sign our letter demanding the Gates Foundation DIVEST from corporate education reform. Join us in Seattle at the #EducatingGatesRally Protest on June 26th where we will deliver our demands.